You can see it if you go to the edge of the now public sidewalks of Playa Vista, and look out over the construction area to the southeast. It is IMAX, in big letters, and it is big. Fully 66,000 square-feet of office space, and at a reported $45-million price tag, this headquarters looks every bit like the commanding icon it is in Playa Vista. It stands at the corner of Westlawn Avenue and Millennium Drive, close to the new Google/ YouTube production complex and near the legendary “Spruce Goose” Hangar, now undergoing a massive renovation. 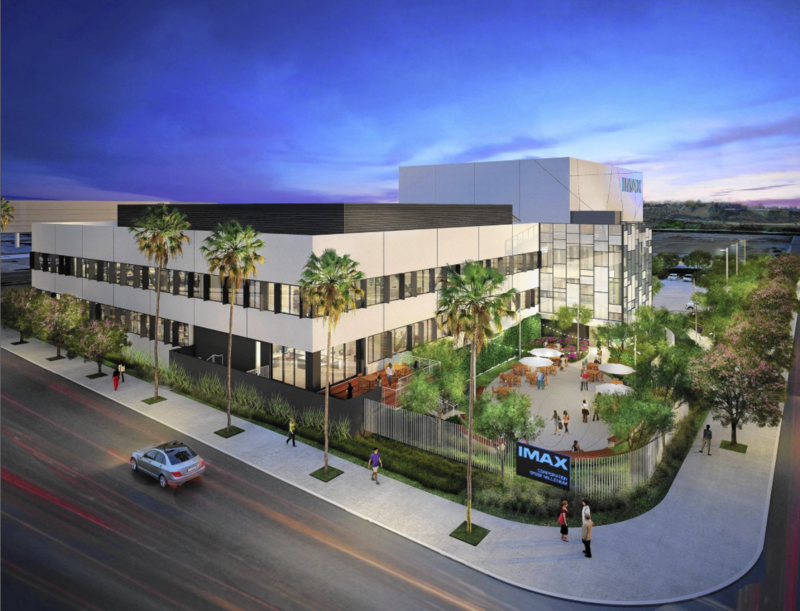 Approximately 120 employees from the IMAX offices in Santa Monica moved to the Playa Vista building. Designed by architecture firm Gensler, the complex is 3 stories tall, and houses 2 large screening rooms, administration offices, and postproduction facilities. It provides a modern, open-air work atmosphere, and an interior amphitheater under a giant skylight. 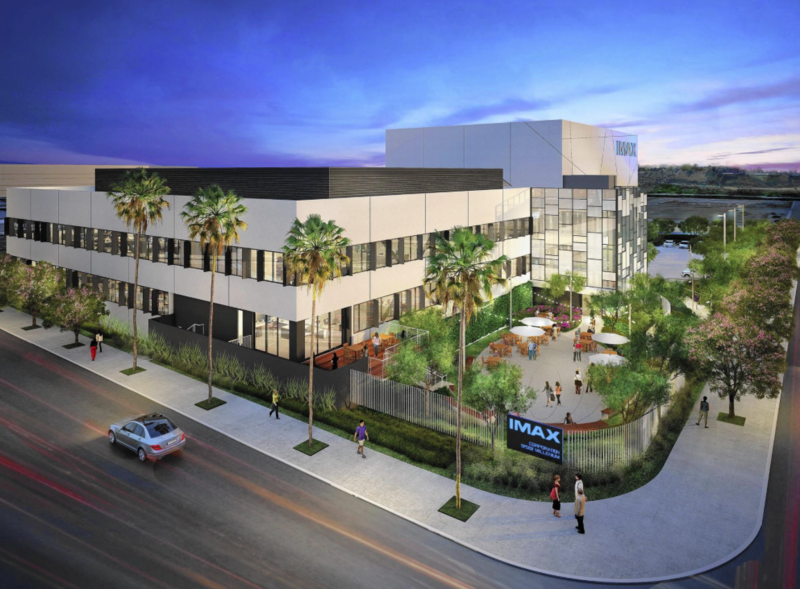 Although IMAX is based in Toronto, and has offices in New York, the new Playa Vista facility is now the hub of it’s west coast activities, and will no doubt hurry the growth of IMAX screens all over the globe.